It is hard trying to adapt such a beloved American classic as “The Great Gatsby” by F. Scott Fitzgerald. There will be many critics pointing out how a delicate narrative of Fitzgerald cannot be possibly transformed into a film, and how Baz Luhrmann, the director, made it all too contemporary and overly-glamorous. While this criticism is valid to an extent, there are, nevertheless, many good things about the new film version of “The Great Gatsby”, and the film does not really deserve half the mud thrown at it by critics. First thing to notice about this movie is that it is very true to the novel. The film closely follows the narrative of the novel, with only slight variations and additions. For example, an addition is the fact that, in the movie, Nick Carraway tells Gatsby’s story from a psychiatric ward (he is there to treat his alcoholism), something which did not happen in the book. The movie itself is about Nick Carraway (Tobey Maguire), a young man who settles into a modest home on Long Island to work as a bond salesman. While he is there, he renews his acquaintance with his beautiful cousin Daisy (Carey Mulligan) and meets her rich and successful husband, Tom (Joel Edgerton). While at their house he also meets Daisy’s childhood friend, Jordan Baker (Elizabeth Debicki) and gets to know Tom’s lover, Myrtle (Isla Fisher). As time passes, Nick becomes more and more interested in his neighbour, one Jay Gatsby, who is living in a great mansion next to him. As Nick’s acquaintance with Gatsby becomes more intimate, he discovers that his neighbour is more mysterious and has deeper connection to his cousin than he has ever dared to believe. 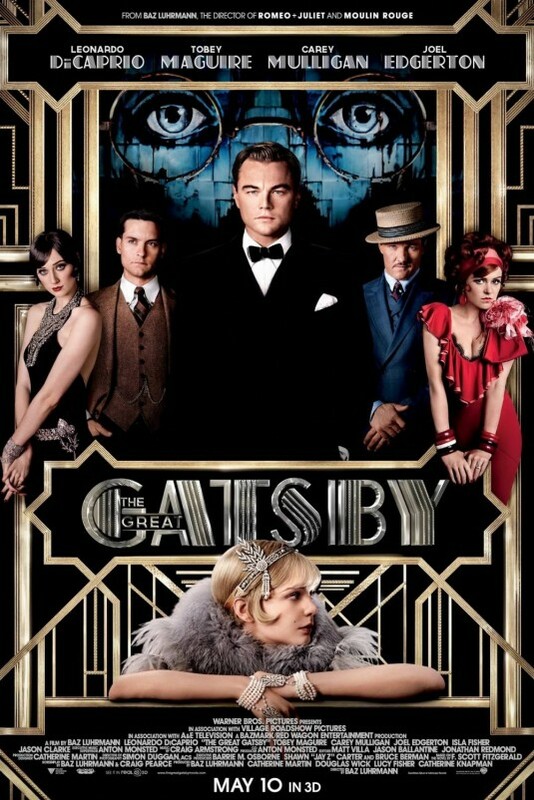 Despite what critics say, “The Great Gatsby” does have “substance”. Amidst stupefying visual effects, there are instances of emotional and romantic depth. This is especially so regarding the second part of the movie, when Luhrmann lets go of his iron grip and lets his actors and the film follow its natural course. The large part of this emotional depth and impression is provided by Leonardo DiCaprio, who is very impressive in the role of Gatsby, and seems to be perfectly cast. While the polished “exterior” of Gatsby seems bulletproof, inside, the man is haunted by deeply felt romantic disappointments and past financial misfortunes. Gatsby’s feelings for Daisy seem to be totally genuine in the movie, and DiCaprio displays right amounts of determination and anxiety in his pursuit of a rich girl he once knew. However, his character is also not without touches of arrogance and malice, ruthlessly handling a dodgy business on the side and being unsociable with his guests. Another great thing about this film is, undoubtedly, its soundtrack. Though criticised as being too modern to go alongside such a classic story set in 1920s, it does have the beat of that decade, and creates the right atmosphere for the film. Some scenes in “The Great Gatsby” are unbelievably beautiful, and Lana Del Rey’s “Young and Beautiful” and Florence and the Machine’s “Over the Love” are just the songs that fit perfectly into the romantic scenes between Gatsby and Daisy. The cast choice and acting are surprisingly good. Apart from Mulligan, there is clearly a feeling that the cast has been picked with special care and one has a feeling that Tobey Maguire was born to play Nick Carraway, having previously accomplished roles of narrators in various films with imminent success. Despite its ambition, however, “The Great Gatsby” is also somewhat inherently flawed. The first half of the film is needlessly rushed, causing near-headache, as the viewer tries to take-in the sheer delirium of colour, loud music, ridiculous camera shots and annoying multitude of close-ups. The second half of the film is better that the first and the audience can finally relax from Luhrmann’s ambitious hell ride. Nice review. A very pretty flick, but doesn’t have much going on underneath the surface. Good review. Considering the previous versions (Alan Ladd as Gatsby?! ), this one follows the book and captures its iconic imagery (kudos to cinematography and production design). Great review. I’m glad to see somebody enjoyed Luhrmann’s contemporary adaptation like I did. I thought it was a smart choice to move it into the 21st century, in a way many adaptations are afraid to do.